Cross and Cutlass: A GREAT new way to find your favorite Indie Christian Books!!! A GREAT new way to find your favorite Indie Christian Books!!! Hi Readers! Today I want to tell you about a great new site where you can find your favorite Christian books to read. These aren't just any Christian Books. These are the best in Christian INDIE books (Which are books published by the authors themselves) But how do you tell which Indie books are good? Which ones are for you? That's what this site is all about! Please read through the information. 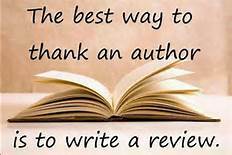 At the bottom you'll find my Friday Writing Tip as well as a way to WIN a $20 Amazon Gift Certificate!! . 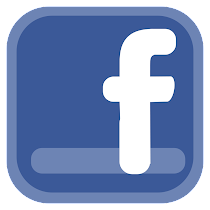 Indie Christian Fiction Search—“Ickfuss (ICFS) to its friends—is THE site to find Christian fiction written from the heart. Independent fiction is growing rapidly as a viable choice for readers. Many authors whose stories have been spurned by traditional publishing houses solely on the basis of marketability of topic, have chosen this route of publication in order to fulfill the call God has placed on their hearts. Therefore, many readers who’ve wanted to sink into topics that are not the mega-trend of the day, are finding material that feeds their interests. This is great news to the avid Christian reader. It means a greater breadth of story, from a biblical point of view, that is also affordable. You can read lots of it without breaking the bank. First, as a reader enters the site, she will see “flipcards” of covers of books posted there. By clicking around, the viewer can group these books by genre and release date, or use the search box to show only books with a specific search criteria (ie. pirate, medieval, Viking, PTSD, disability). Readers can also choose different “views” on the site that will help them scroll easily through book-blurb excerpts, by genre or search criteria, to scan quickly through a lot of material and find the one most interesting to them. No other site has the ability to display this level of book information with this much ease as does Indie Christian Fiction Search. Additionally, there is a website newsletter poised to send out lists of new releases, and hot-picks to those readers begging for more. ICFS was also created because as independent fiction grows, the need for REAL gatekeepers becomes increasingly important. Not just to ensure quality of product, but for the Christian reader, to set a standard of biblical content as well (see the ICFS Statementof Faith and ContentWarnings). But now, it must be the READER who will lead the way, not the executive or the marketing team who makes decisions about the life or death of a story based on numbers that do not touch the hearts and minds of what each reader really wants. YOU can tell us what YOU think about a story and whether it relates to your world, be it small town, big city, Midwest or historical—not what the fad of the day dictates. YOU have the power. You just need a place to exercise it with others who share your faith and your passion for a great book. Why do this on Indie ChristianFiction Search (ICFS)? Because it is the one site with the greatest ability to sift through large numbers of books at break-neck speed. And as it grows, with more books added, you will need that function more than ever! With ICFS, you can sort by genre, watching the little covers float across the page, or plug in search criteria, including author name, character professions, time-periods, story themes, etc. to find something that suits you to a tee. Plus, if you check out all its views and play with all of its functions (listed on the “How to Use This Site” page), it’s just plain fun—kinda like when automatic car-window openers were invented (I know, I’m dating myself :o)). Check it out. Read the “How to …” page. Play with the views and try some search criteria. Watch what happens. Hee hee! Indie Christian Fiction Search is a growing site. Make sure you come back again to see what happens after a few months! And don’t forget to sign up for the newsletter. I promise it will not load down your email inbox unnecessarily. It will be sent no more than quarterly. Sign up for the newsletter NOW and be entered to win a $20 Amazon gift card. The winner will be announced on the newsletter page and informed via email on November 1, 2014. Now that I will have a Kindle again, I will have to check this site out! Have a great weekend and I will see you at the tea party! Thank you for sharing about this website! I have heard about it once, but it slipped my mine to check it out! However reading your post it sounds awesome! Wow, this is great! Thanks for sharing it with us. Thanks for the info, MaryLu!! 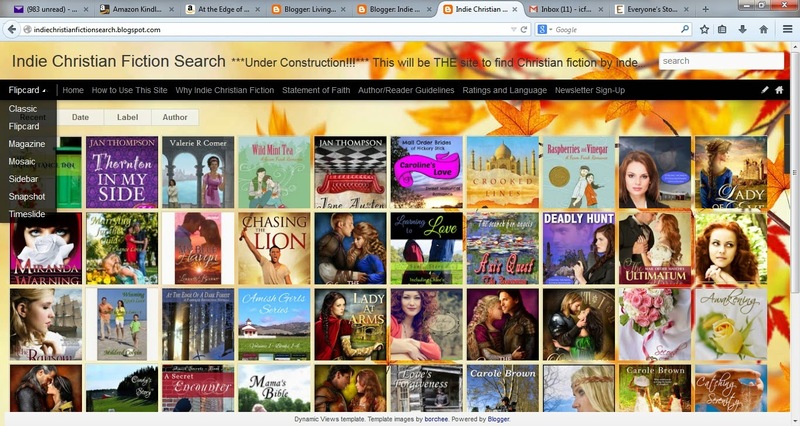 Indie Christian Fiction Search is a neat site - catches your eye, sort of mesmerizing!! I signed up for the newsletter. I'm really enjoying your little writer tips, also!! Have a joyful, blessed weekend!! Love, prayers, and hugs - MaryLu! !